The 20th century saw dramatic progress in science and technology that greatly expanded the potential for human beings. This progress created a number of new problems that remain unsolved today: pollution, energy resources, ethnic conflicts, wealth discrepancies, and urban problems. The wave of globalization and information technology that appeared at the end of the century created new problems that can no longer be addressed by established ideas and approaches. The Graduate School of Human and Environmental Sciences is organized into the three departments: the Department of Human Coexistence with “human beings” as its key concept, the Department of Cultural Coexistence with “civilization” as its key concept, and the Department of Interdisciplinary Environment with “nature” as its key concept. This organization will contribute to new views of human beings, nature, and civilization, which will, in turn, foster a new scholarship that is capable of responding to the urgent and essential task of creating a sustainable society. Please contact individual instructors through the email addresses given in the web pages. 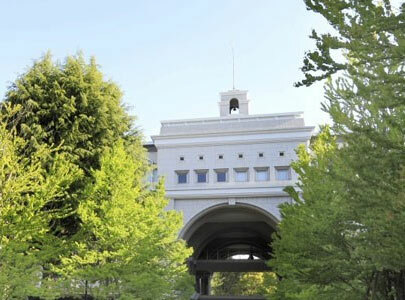 As of April, 2003, the Faculty of Integrated Human Studies and the Graduate School of Human and Environmental Studies were integrated to form the new Graduate School of Human and Environmental Studies in order to achieve higher academic goals. Accordingly the divisions within the two organizations have been reorganized. The Faculty of Integrated Human Studies remains an undergraduate department; its courses are taught by the Graduate School faculty.